I'm thankful for being able to steer. I'm thankful that when I put my feet down, they don't get caught in the track. No matter how odd some of the items in the TGIF photos look. Honestly I'd make an attempt to ride any one of them. 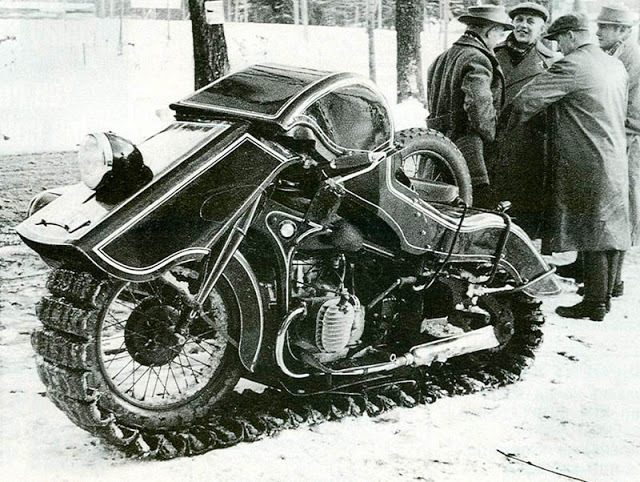 A BMW with a track that goes around the whole bike. Hard to make out where the stormtroooer would sit. German military?? ?